Mumbai, June 18, 2013: BIG CBS LOVE, India?s number one English GEC amongst elite urban Indian audiences, is all set to participate in a global television event with the launch of a brand-new show, ?Under The Dome?. The 13-episode series, based on author Stephen King?s best-selling novel of the same name, will launch simultaneously in several countries within the week. Featuring some of the biggest names in entertainment like Mike Vogel, Rachelle Lefevre, Colin Ford and Brit Robertson among others the show has been produced by CBS Television Studios in association with popular Hollywood director Steven Spielberg?s Amblin Television. ?Under The Dome? will premier in India, exclusively on BIG CBS LOVE starting 28th June, 2013, every Friday at 10pm. 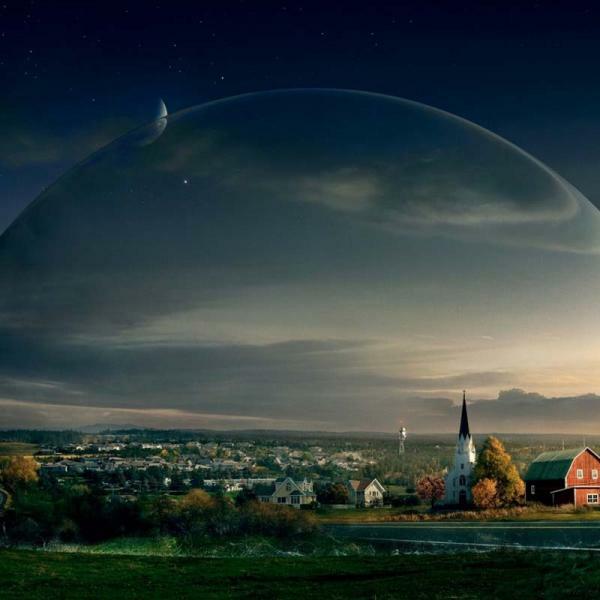 A serialized drama packed with thrill and excitement, Under The Dome is the story of a small town that is suddenly and unexplainably sealed off from the rest of the world as an enormous transparent dome descends on it. In the tale that ensues, the town?s inhabitants face issues like surviving in the post-apocalyptic condition in the town while trying to understand what the dome is, how it got there and how long it would take to go away. The show brings together four of the biggest names in international entertainment including not only novel?s author Stephen King but also executive producers Neal Baer and Brian K Vaughan who have previously worked on shows like Lost, ER and Law and Order: SVU, and director of the pilot episode Niels Arden Oplev who has also directed the original Swedish adaptation of the critically acclaimed movie Girl With the Dragon Tattoo. In India, Under the Dome will be promoted extensively using on-ground activations, digital innovations, print media and OOH bringing into play the media muscle of Reliance Broadcast Network and external media. Mr. Anand Chakravarthy, Business Head - BIG CBS Network, said "?Under The Dome? is undoubtedly the biggest global television event this year and we are excited to be airing the show on BIG CBS LOVE concurrent to its US telecast. Based on the un-put-downable book by Stephen King, ?Under The Dome? on television has the makings of a blockbuster television show. There is already great anticipation for the show around the world and across social media platforms everwhere. Another world class television show from CBS that will give audiences in India an exclusive and amazing entertainment treat. " UNDER THE DOME is produced by CBS Television Studios in association with Amblin Television. Steven Spielberg, Stephen King, Neal Baer, Justin Falvey, Darryl Frank, Stacey Snider, Jack Bender and Brian K. Vaughan, who wrote the television adaptation, will serve as executive producers. This move ensures the best programming mix to its audiences, as BIG CBS LOVE gears for phase II of digitization, with Reliance Broadcast Network?s recently launched consumer awareness campaign ?Choose Your Set Top Box Wisely?. After an extremely successful roll-out of the campaign across the 4 metros, it now extends across 38 cities in DAS phase II. The campaign has been designed to empower consumers with information on digitization. Simultaneously, it also offers distribution partners an excellent opportunity to strengthen brand equity. The campaign will see an extensive multi-media marketing push with the help of RBNL?S marketing muscle and expertise and will be promoted across the platforms of television, radio, cinemas, digital, outdoor, on ground and road shows.